This is a photo I was not supposed to have gotten. At times, the rules about entering buildings can be quite strict; at other times they seem to be more lax. On our trip, our guide was quite serious about us following the rules, of which every one of us broke at one time or another. On other trips, entry into buildings seems to have much fewer restrictions. The cranes on the right are part of the project to build a new containment structure. 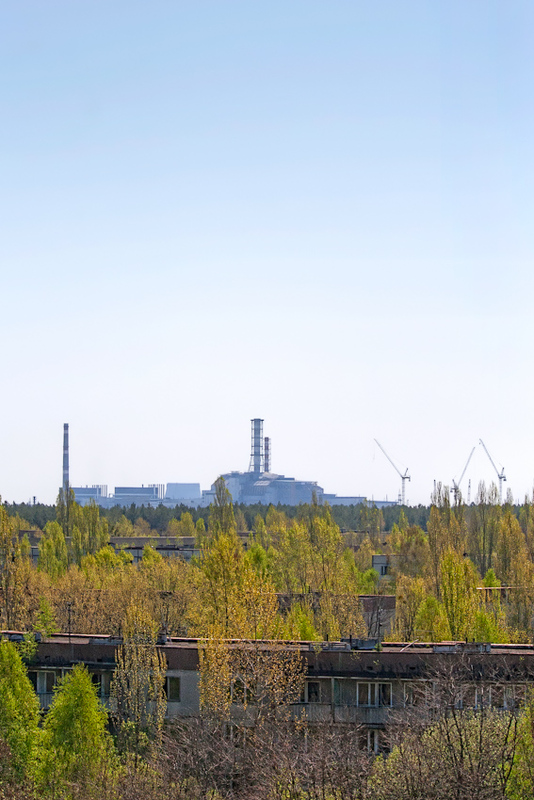 Implementation is expected before Chernobyl's 30 year anniversary in 2016.